Tried my first Mad Elf a few nights ago and immediately reported to the social media: Couple of those Troëg’s Mad Elf beers and they can go ahead and cut the bullet out of you. Seriously, unless stretched out over hours, two of these in a night and you’re finished; call a cab. But the temptation is clear, since this is a delicious concoction. It has twice the potency of yesterday’s pick, and perhaps double the pleasure. It’s going to be a new seasonal staple for me—if I can find it. 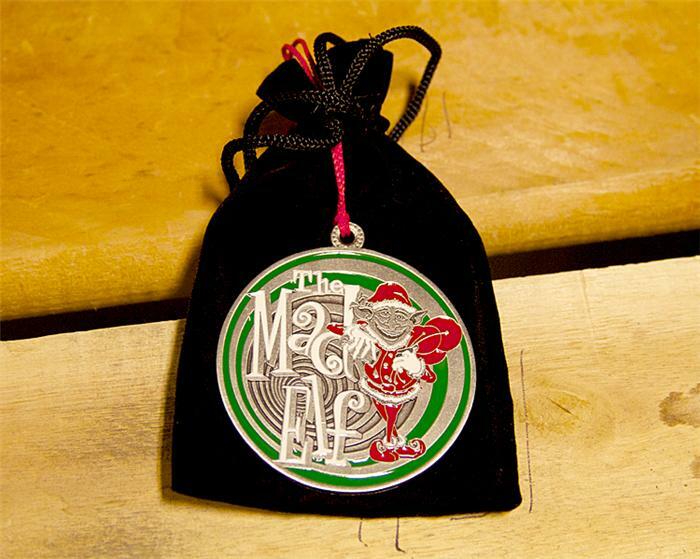 The character on the label of Troëg’s Mad Elf Ale is outfitted in Christmas attire with what on first glance looks like a sack of toys slung over his shoulder, but on closer inspection are a few giant cherries. 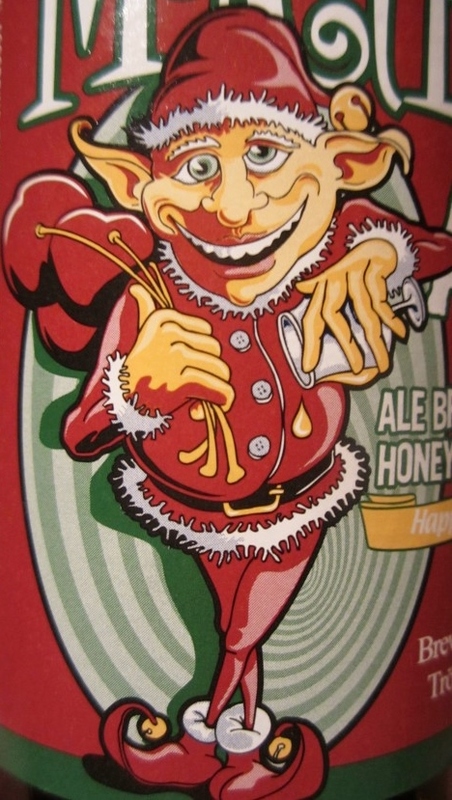 The Mad Elf isn’t angry, but he does look a little crazed, a cross between Alfred E. Newman, the grinning funny face from Coney Island’s Steeplechase Park, or S. Clay Wilson’s The Checkered Demon. The brewers were clearly having a free-for-all in coming up with the recipe for this one—adding honey and sweet and sour cherries to the boatload of malts and hops, along with a hybrid Belgian yeast. Still, the effect of the beer is less likely to be stimulative than narcotic. The name—“pronounced with a long O, not uh or uh-e (as the umlaut would imply)”—is a play on the family name of founders Chris and John Trogner and the Flemish word for pub, Kroeg. Though I’ve run across the brewery’s Trogenator double bock now and again, the beers aren’t distributed in Vermont. Luckily, I ran into the Mad Elf last week when south of the border in Massachusetts. There’s no vintage dating on the bottle, but this is a beer that could clearly survive a few cellar years. Once it’s open, taking your time with it is worthwhile, as the beer will change character as it warms. The initial sensation is pretty sensational; though it may all be a matter of suggestion or the obvious ruby tinge to the brew, but both the cherries and honey seem evident in the nose and swirling in the sweet depths of the palate, along with spicy notes and a nice biting finish. Let it sit for an hour or so and the carbonation will die out and the beer becomes a velvety dram, fit for a snifter, a syrupy, warming bowl of contentment. That roseate glow on your cheeks? Don’t worry, it goes with the beer, and is seasonally appropriate. Availability: Mid-October-December in PA, NJ, NY, MD, DE, OH, MA, VA and D.C.